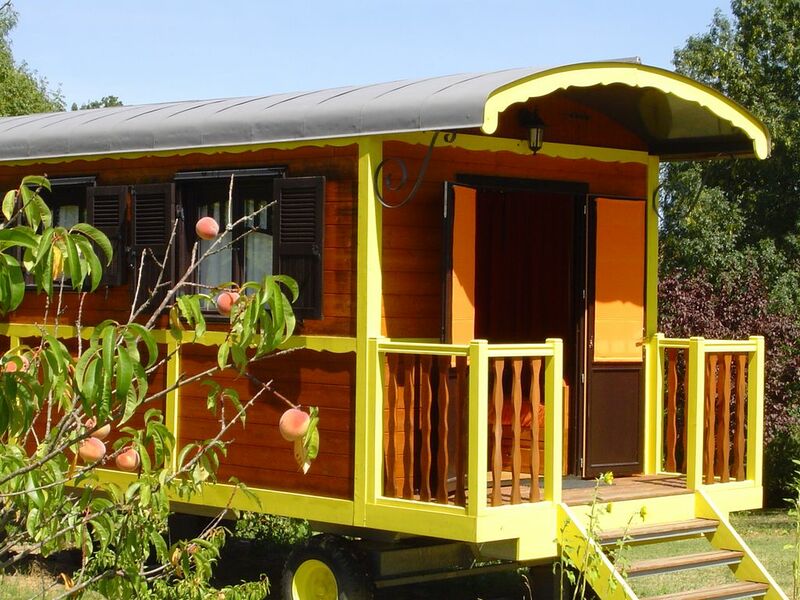 Beautifully made entirely of wood, the gypsy caravan (roulotte) is a copy of an original style.. This cottage is irresistibly romantic for those attracted to a somewhat unusual place to stay for a self-catering holiday surrounded by beautiful countryside, rolling hills in an idyllic setting : the green Lot valley ! Clad with pale wood and bright fabrics, they are fully equipped to accommodate up to 2 adults & 3 children and include a bathroom, kitchen area as well as heating in winter. You can expect a warm welcome by the owners, Laurence and Pascal, professional caterers, who will look after your creature comforts in one of their two solidly-built comfortable wooden caravans (cottages on wheels) tucked into the wildlife reserve garden of their house. You'll enjoy using the large swimming pool,open from the first of may to the end of september. It's simply agorgeous place for tourists in search of authenticity and for those who love centuries-old residences, castles, windmills, dovecotes, hikes, tours, and local markets : the hosts are eager to offer guests seeking local color suggestions from among the most interesting -- and less crowded -- places in the lot-et-garonne.